Students practice sentences with ir a + llevar and the Halloween words bat, witch, ghost, scarecrow, devil, vampire and mummy. 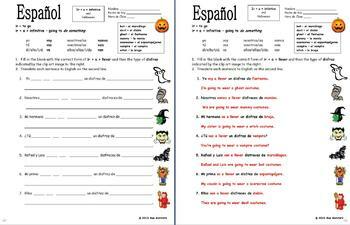 The Halloween words are included in a word bank for student reference. Please click here to see more of my ir + a materials. 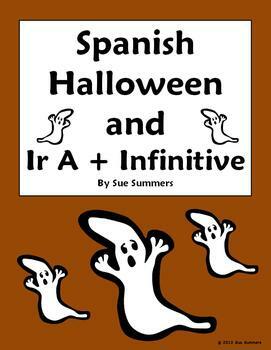 Spanish Ir A + Infinitive, Llevar and Halloween Vocabulary Sentences by Sue Summers is licensed under a Creative Commons Attribution-NonCommercial-NoDerivs 3.0 Unported License.